Trump won the election on the anger of the disenfranchised and now he must provide the resounding solution for them. In addition to fiscal spending, blame China and take away their “unfair advantage” is another solution. Having appointed Peter Navarro as director of the newly created White House National Trade Council, the Donald seems bent on seeing through a confrontation with China – sooner rather than later. For those who want to know more about Navarro, he’s penned a few books such as “The Coming China Wars” and "Death by China: Confronting the Dragon – A Global Call to Action." With a verbose title like that, does anyone think he’s kidding around? The devaluation of the RMB may be very severe so perhaps this is why China has been shoring up its gold holdings, increasing central bank gold reserves by 71.4pc in the past 12 months, compared with a global increase in central bank reserves of 2.8pc. Why would real rates (interest rate net of inflation) remain low if we expect inflation to rise significantly? 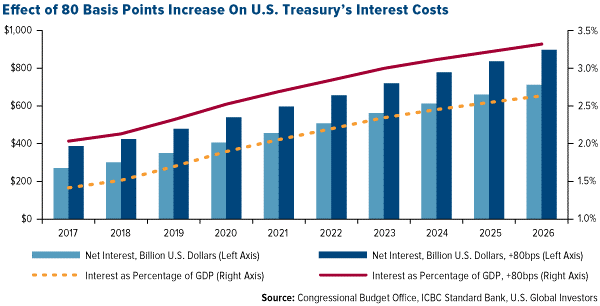 There is around $14 trillion of US debt and this chart shows that if there is an 80bps increase in rates, then by 2026, the interest alone on this debt will amount to 3.3% of GDP, all other variables unchanged. Any disappointments on growth combined with higher interest costs and inflation could well result in more bullish catalysts for gold. 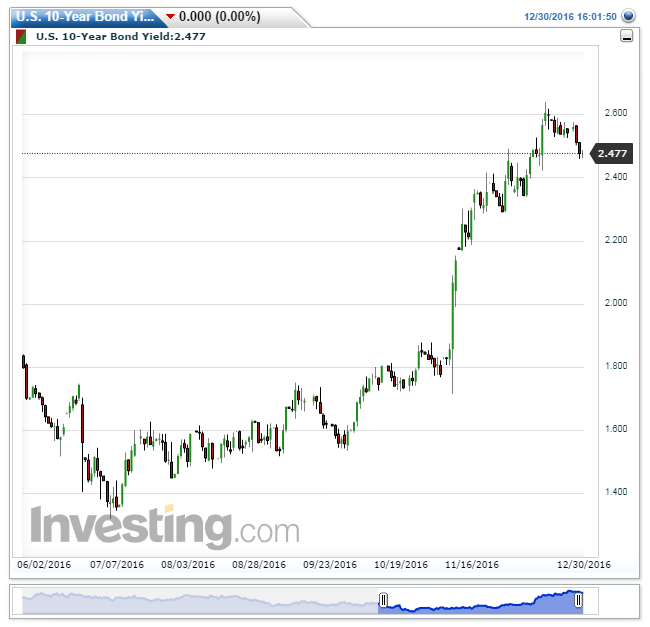 With low real rates, we believe the dollar’s strong advance should be slowed down or even reversed. 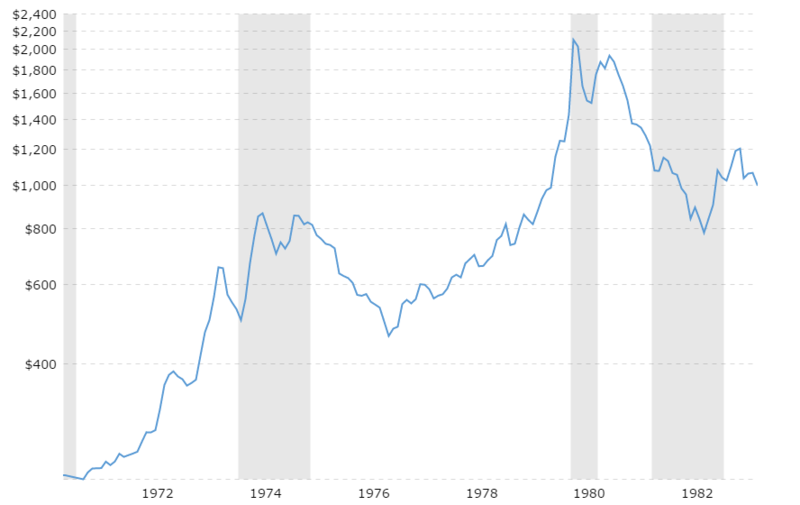 And even if the dollar does increase at a measured pace, its impact on gold prices are far from certain. 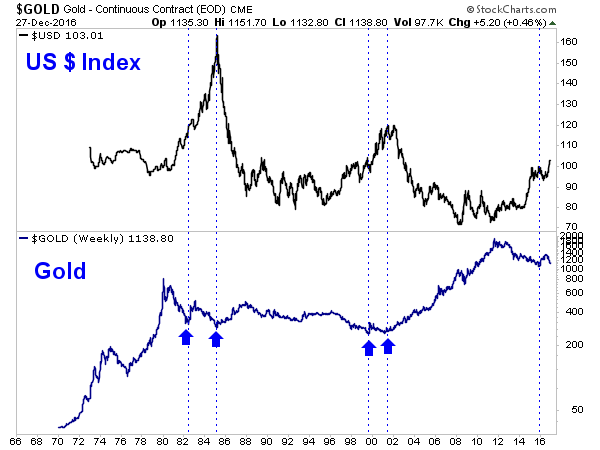 US $ index rocketed higher in the mid 80’s while gold saw a very muted reaction. Addtionally, while the dollar traded in a range, gold rose more than 100% from 2008-2012. The fear of a recession, mass volatility and inflation are bigger drivers of gold than the dollar. US equity markets have been in a 8 year bull market. Although up until recently there hasn’t been a real sense of real urgency to the buying, stocks are very expensive – however one wants to measure it. David Rosenburg declared back in September that equity markets are discounting a 33% earnings per share growth in 2017, a 1 in 20 event! And the S&P 500 has rallied another 4% since then. The expectation is that as risk off days becomes more common in equities and bonds, more investors will allocate funds to gold/commodities. Of course these three catalysts won’t be the simultaneous focus of investors, but we suspect these themes to be central in 2017 driving precious metals prices significantly higher. Got it, but how should I invest in gold? Buying gold/silver in the ETF market is perhaps the most efficient way to gain basic exposure to these themes. However, the actual mining companies could also be an excellent choice. By investing in gold miners, investors may benefit from operating leverage: as the gold price goes up, the miners’ margins improve, and as many companies have significant debt financing, the potential returns are often at a faster rate than the rise in gold. However, this leverage cuts both ways as sometimes when gold falls, even slightly, gold miners can fall multitudes more. Thus, in the right circumstances, equities could become a better bet than holding the underlying commodity. As mentioned above, to gain exposure to gold, use GLD and silver, use SLV. For senior gold miners, GDX and for those who want to take a bit more risk, GDXJ (the junior gold miners) would be good choices. Taking a long term bet on any individual company is very risky so using options strategies to express your bullish views might be a better approach here. Click here to find out exact trades we are looking at.